I love guitars but (with two lads at university) I can't afford the ones I really want. So, I've gone for really good cheap brands and my favourites (as many will know) are Vintage and Sigma - both delivering 95% of what I want. Similarly my favourite cheap watch brand is Orient - the Orient Ray for rugged, the Orient Bambino for dress. Now I recommend to you a seriously good bit of home exercise equipment. Since a young age I've always done a daily jog and a light/rapid weights routine several times a week. After moving out West my running involves a lot of hill running - I consider myself pretty fit for a mid fifties chap. I highly recommended this for anyone wanting to lose weight and improve strength and cardio vascular fitness without hours of gym time (an eventual target of 20 minutes hard effort should do you fine.) Start off easy though - let the endorphine addiction carry you on. Good recommendation I have a nordic track that I love because it is zero impact. I haven't heard of the problem with the uprights needing welding, though. I don't use it that often, though. I usually try to get out of the house a few times a week, and the social interaction, fresh air and sunlight become part of the package. As far as other bang-for-the-buck deals (punch for the pound? quality for the quid?) I would recommend Extra Strong Mints. At only 95p, one pack should last several days. Being stronger, you can't chew the whole pack in one sitting. Your mouth may ignite. And in the chance that they are too strong for others, you can safely offer them around knowing that it is likely that not every will take one. And then, of course, there is Marmite. One jar lasts me three weeks, with a daily application to a toasted bagel. At about £4.75 a jar, that works out to 22p a day of vitamins and nutrients. Brilliant value. Sorry, I can't think of anything more useful than those two things. But they are two of my favourite things in the world. I eat Morrissons own brand porridge for breakfast, it's £1.17 a bag and lasts a month or so Monday to Friday. So thats less than 6p a day for all that hot gluton free fibre and energy. I then spoil the budget by tossing chopped fruit, yogurt, cinnoman and honey, but who's counting. So around £15.92 by the time you're done, then? 6p a day isn't bad for breakfast. I'm sure Ivan Denisovich's meals cost the same. Controversially I prefer supermarket own brand yeast extract to Marmite, and it is even cheaper. Seems ridiculous, but I can't think of much else, at least if we are excluding guitar gear. 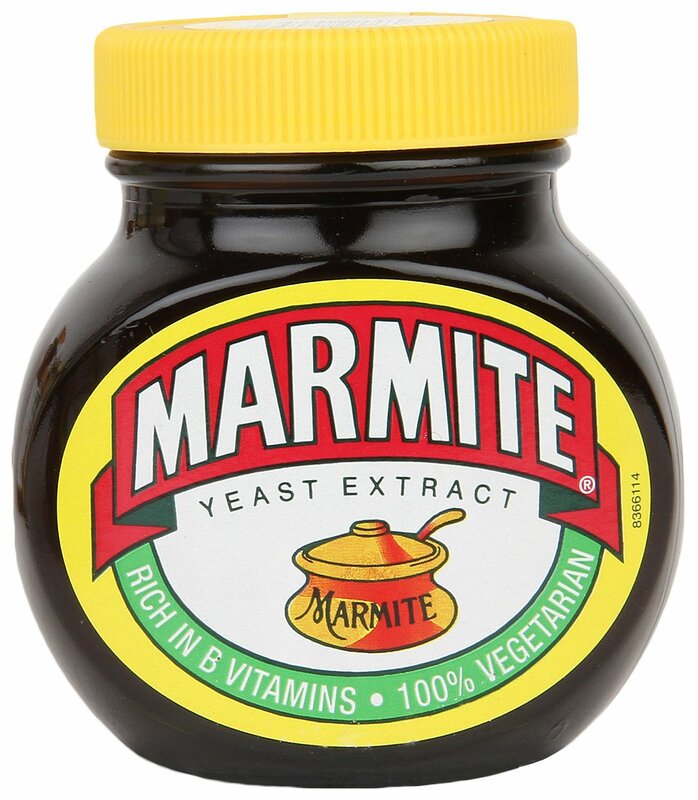 Controversially I prefer supermarket own brand yeast extract to Marmite, and it is even cheaper.